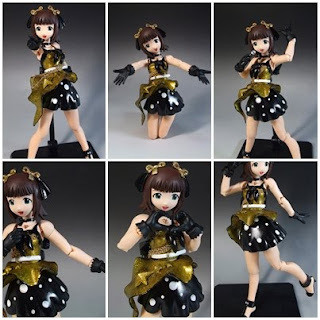 Welcome to spotlight pro custom figures part six. 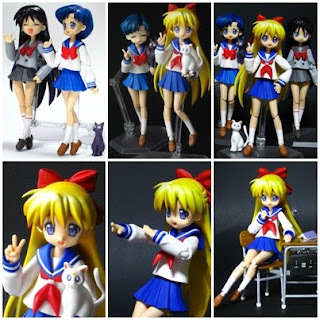 Pro custom figures is a series which spotlights some of the most amazing custom made figures and their creators. 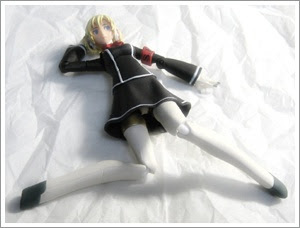 First up is Sho Maru's Rana from Queen's Blade. This is a awesome custom Figma. 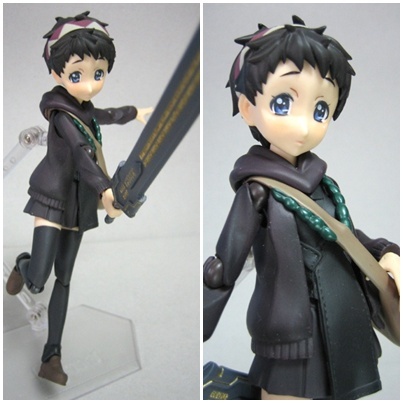 The design is great, the figure is cute and the paint is just awesome. 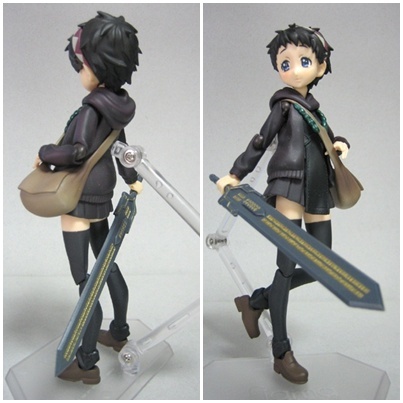 Sho Maru has included some nice accessories, a cool bag and an awesome sword. 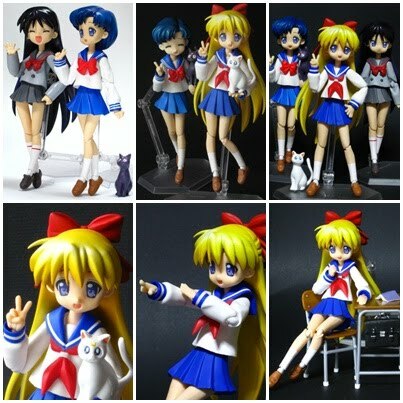 Second is Pirochi's Sailor Moon characters. First she has made Ami Mizuno a.k.a Sailor Mercury, and she has been sculpted using parts from the Lucky Star Figma's, and she looks great wonderful design and painting. 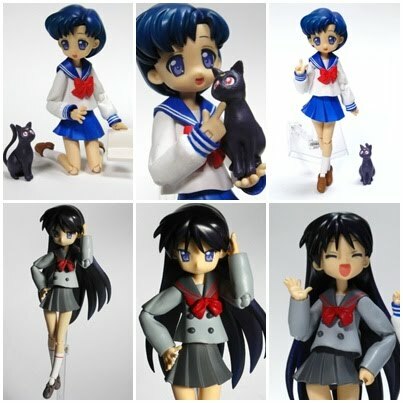 Second is Rei Hino a.k.a Sailor Mars, this is also a superb figure. 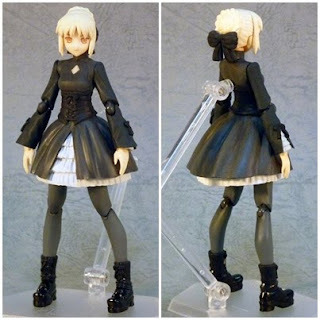 Then there is Saber Black Dress by AMA, this is just an amazing custom, using all new parts some recycled parts. What can I say about this figure... its just beautiful. 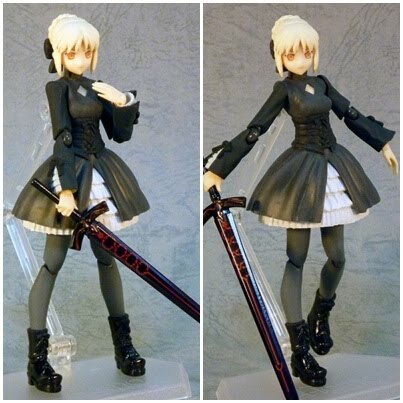 Ama has also used the sword from Revoltech's Alter Saber for an accessory. AMA has even included the hamburger which is what the figure which this Figma is based off is eating. 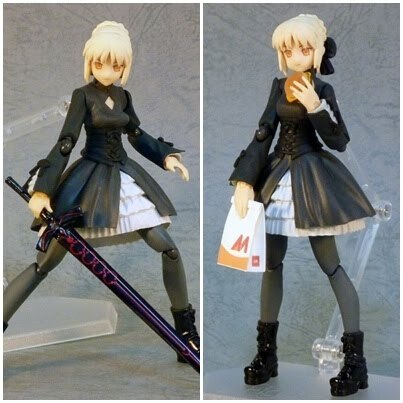 Just great, what a fun accessory. 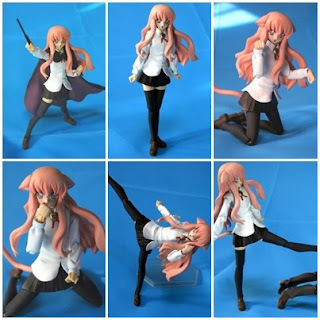 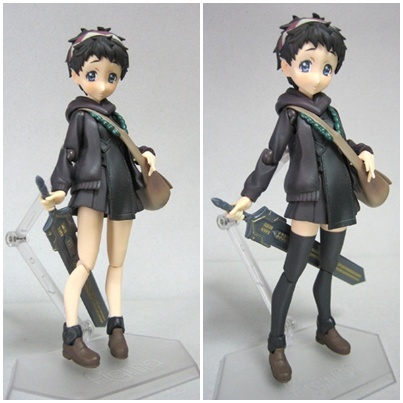 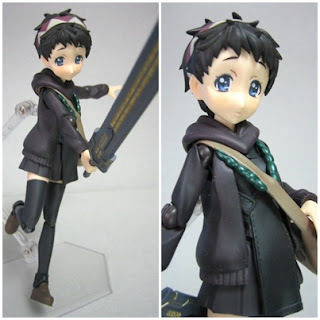 And lastly is a wonderful sculpt of Aegis in her school uniform, however the makers profile has since gone from fg-site so I cannot give details bout the marker unfortunately.